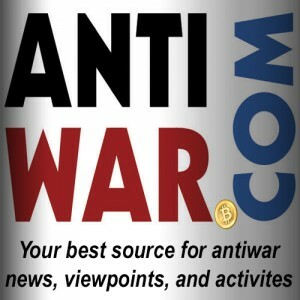 This past Armistice day, November 11th 2017 Antiwar.com lunched its end of year fundraising campaign in a big way with $20,000 of Crypto Currency matching funds from Bitcoin.com and the addition of of BItcoinCash, Dash and Zcash to its accepted digital currency’s. 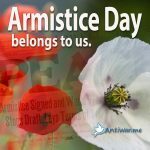 This marks only the beginning of our efforts to remember Armistice day as next year is the 100th anniversary of the Day that originally commemorated the armistice that ended the First World War on the 11th hour of the 11th day of the 11th month of the year in 1918. Here is a recap of a number of articles written on the topic this year. Render your verdict on four early U.S. wars. How Teddy Roosevelt started the chain of events that led to Pearl Harbor. Was U.S. participation in WW1 the worst mistake ever? Did U.S. policies play a role in creating the communist threat? Was Adolf Hitler Woodrow Wilson’s “love child? Veteran for peace have for several years run campaigns around Armistice day with the hashtag #ReclaimArmisticeDay Armistice and this year focused around Diplomacy Not War in North Korea. 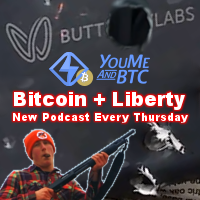 We also held and social media giveaway and will be posting the winners next week, if you would like to get more involved in the the conversation and get active for peace, please join our facebook discussion group here. Social media giveaway #WhyIamAntiwar The Art of Sedition, Antiwar.com Contest. Ends May 31st.